Place crackers in large bowl with a lid that seals well. 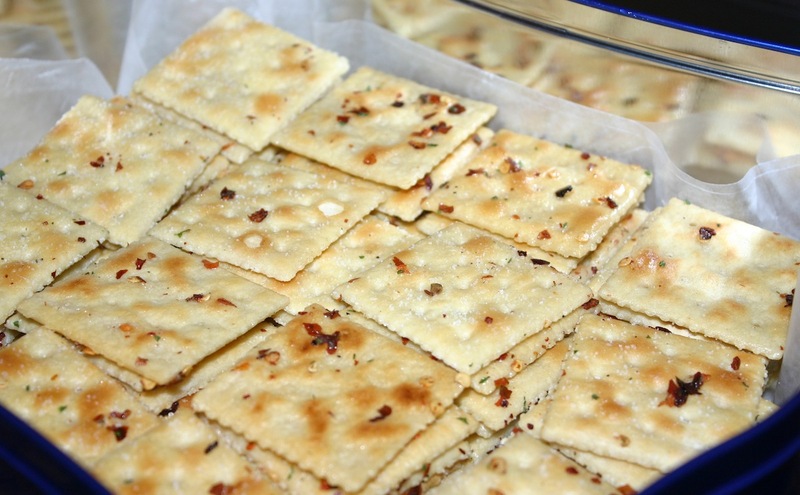 Mix oil, Ranch mix, and pepper in 2-cup measuring cup and pour over crackers. Seal with lid. Turn bowl over every 5 minutes for 30 minutes, then remove from seasoning mix. These are great with cheese and summer sausage, chicken salad, or tuna salad. *Do not substitute Ritz crackers for the saltines. They have a different texture and will be much treasure than the saltines. I haven’t tried this with Cheez-its, so I’m not sure how they would compare.